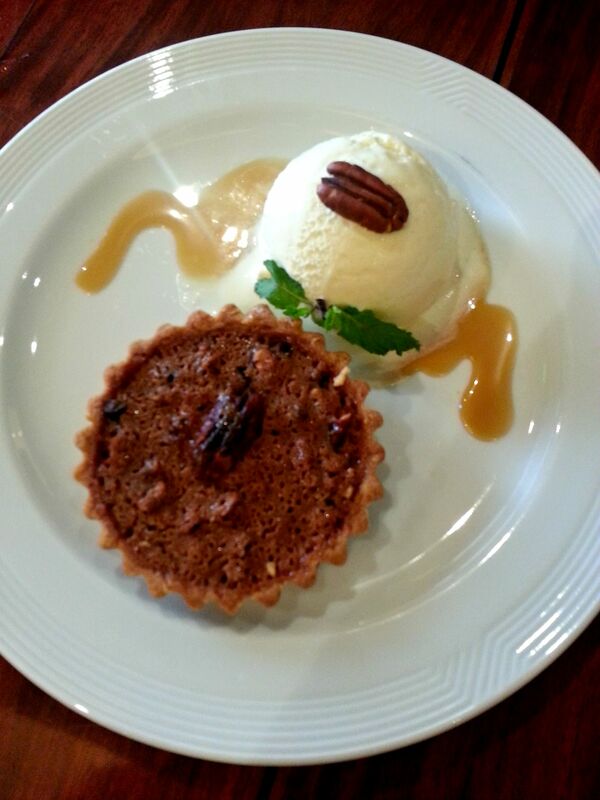 When dining out, I always consider the dessert as the main course. I admit, I love dessert and I have the biggest sweet tooth ever! 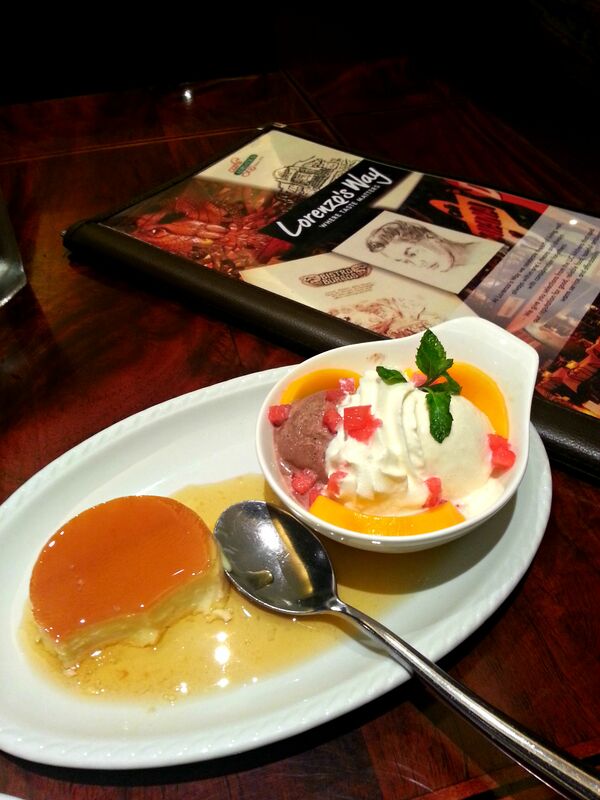 You may not know it yet, but if you happen to be in the Greenbelt area in Makati City Philippines, one superb dessert can be found at Lorenzo’s Way. And I strongly suggest discovering what you might have been missing! 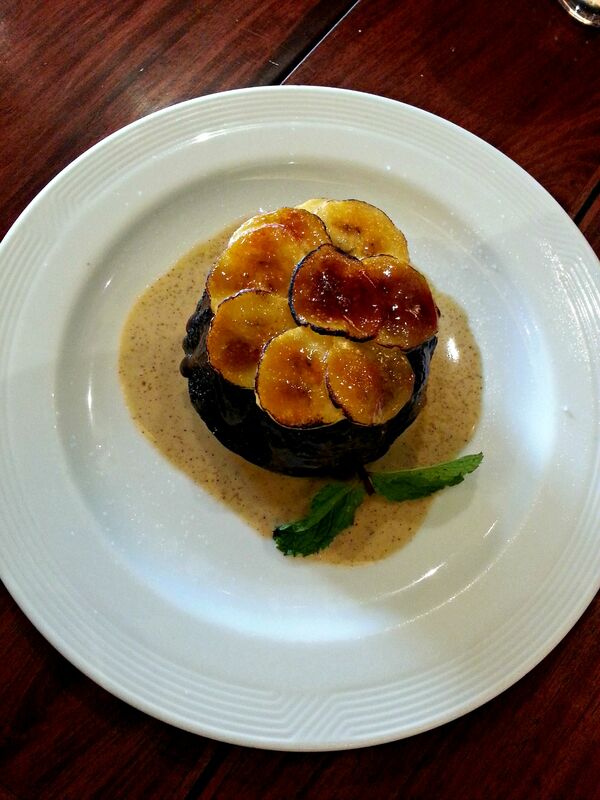 It’s called Banana Choco Lava Cake. 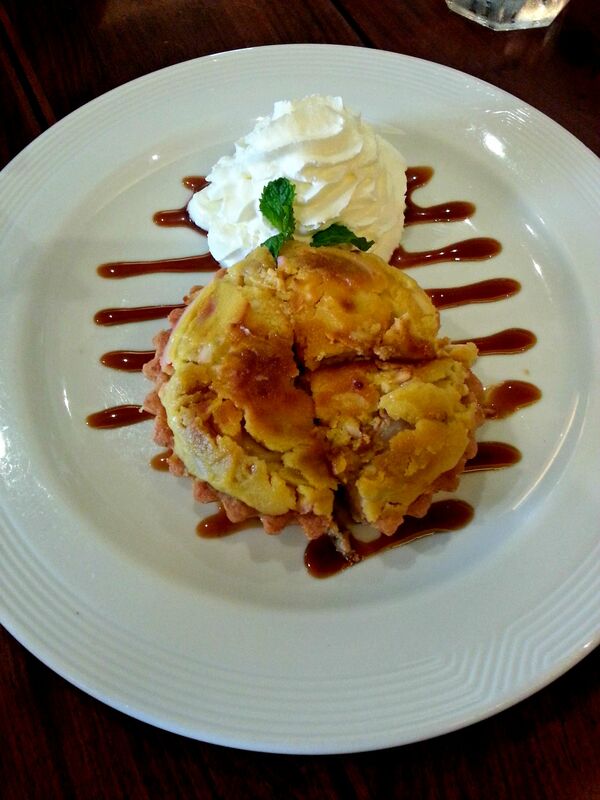 It is the type of dessert that would not overwhelm on the first bite. It has just the right amount of sweetness. 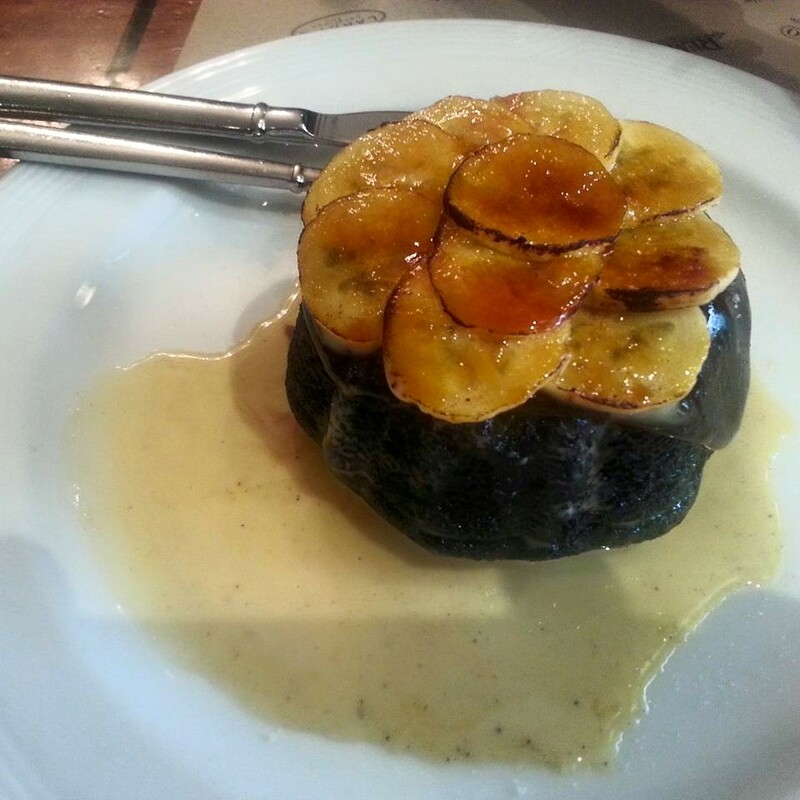 It’s a warm, moist chocolate cake that would make you feel like it just came out of the oven surrounded by a creamy sauce topped with thin slices of caramelized bananas! It’s the type that would make you crave for more every time you have a bite. This dessert is so unbelievably yummy! 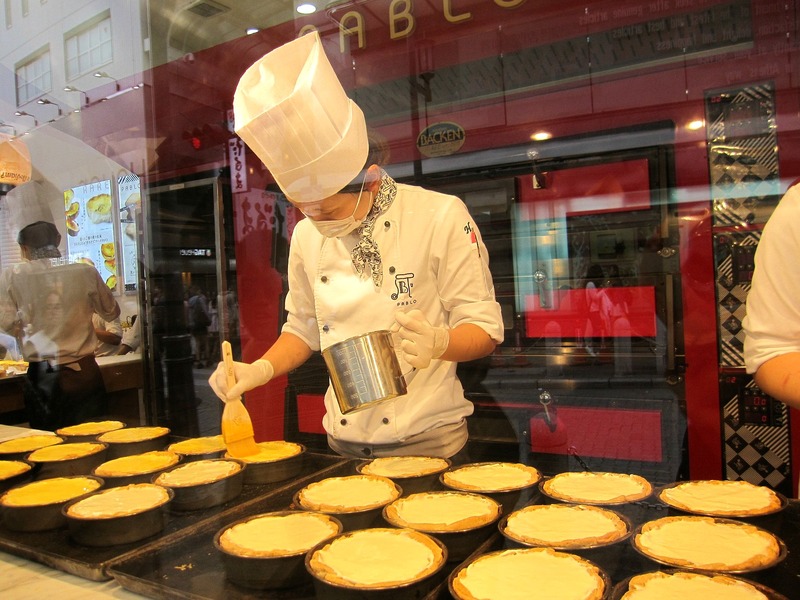 When me and my family visits Japan (which fortunately has been a regular occurrence in the last couple of years) not having the Osaka-originated Pablo Cheese Tart seem like a mortal sin. Thus, during our present visit we again lined up to buy and enjoy this amazing dessert. Not only did we have the medium soft version of this enslaving cheese tart, we also had the newest version which has fresh orange on top. 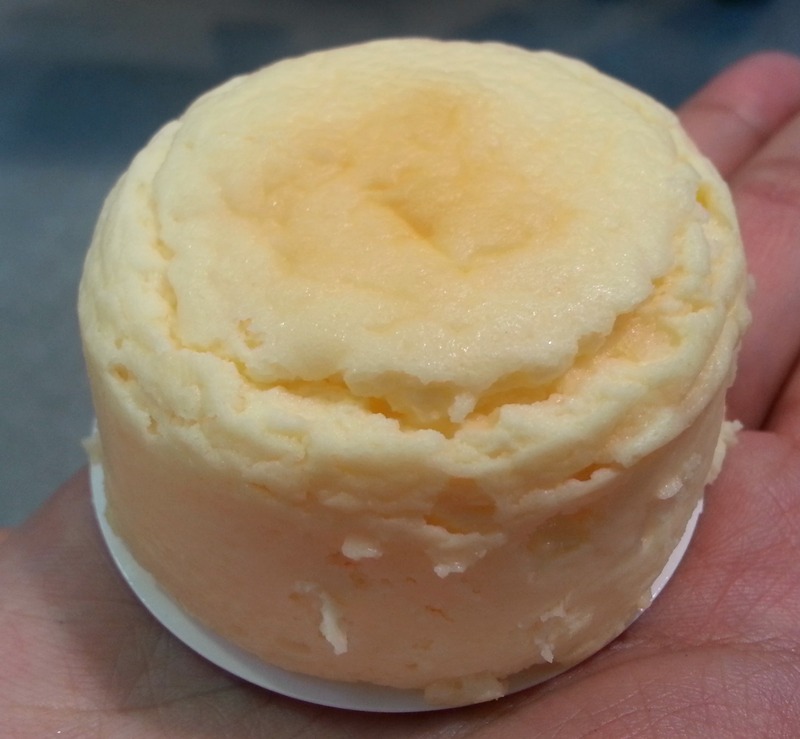 But since the highlight of our present Japan adventure is to experience the Sapporo Snow Festival in Hokkaido, we were fortunate enough to come across Hokkaido’s best version and equally popular cheesecake. 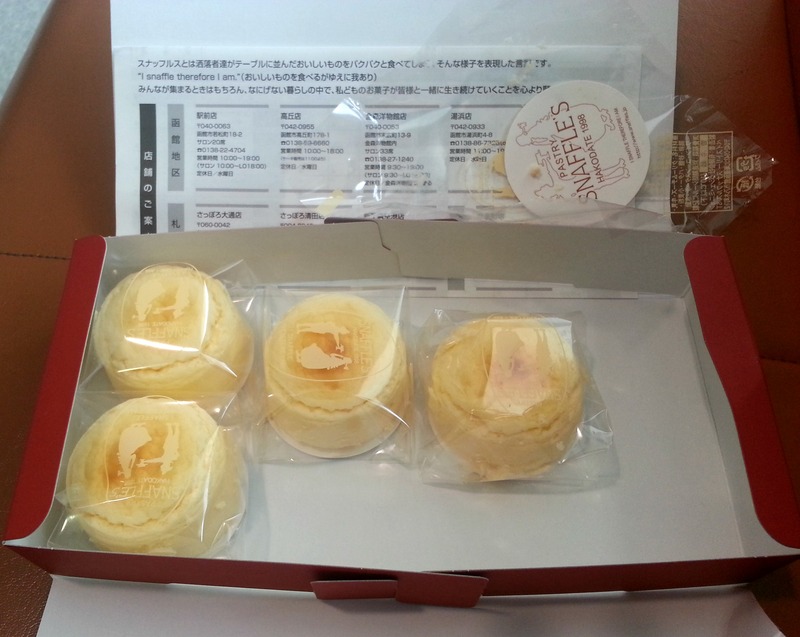 Ladies and gentlemen, let me introduce you to the fascinating palatal experience brought about by Snaffle’s Cheese Cake from Hakodate, Hokkaido. The soft creamy texture is simply perfect. This heaven-sent dessert brings a different penchant to your sweet, smooth and cheesy impression. The savory flavor brings a unique invigorating assault on the taste buds. Its addictive character is equally impressive to that of Osaka’s Pablo. Snaffles was a big hit with my family. Everyone loved it! Unfortunately, Snaffle’s as we found out is not yet available in Osaka while Pablo is nowhere to be found in Hokkaido. I hope I would be the one benefiting from these delicious gastronomic highlights by having these exceptional desserts available in the Philippines. I know Pablo will soon be available in Manila (by the 3rd quarter of 2015) and I’m wishing that Snaffle’s will follow suit. 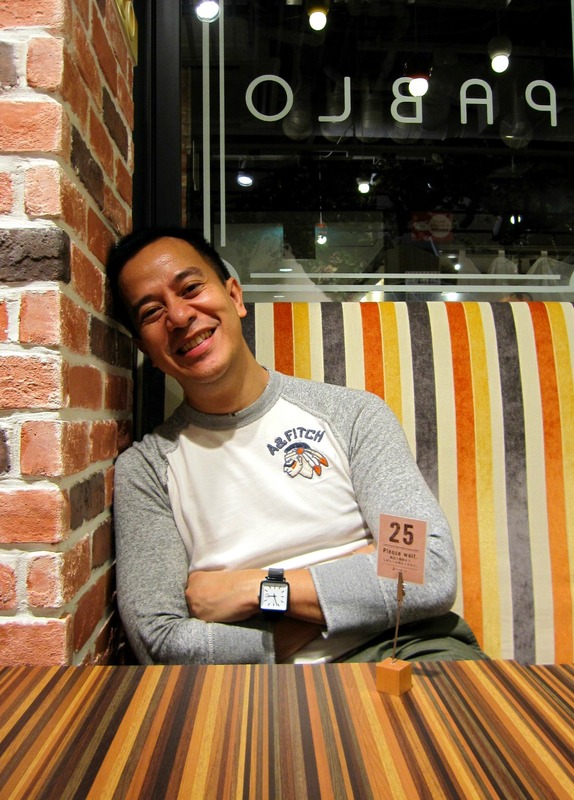 I know that the popular Japanese-originated St. Marc Café is a freshly minted icon in Manila. But that did not dampen my yearning to try it in the country where it all started. 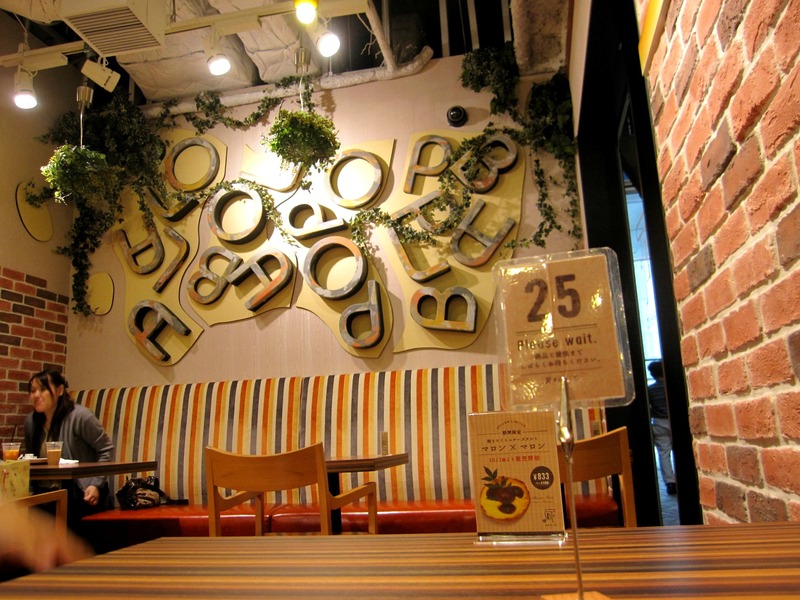 I and my family had it at a branch within the Namba area in Osaka. 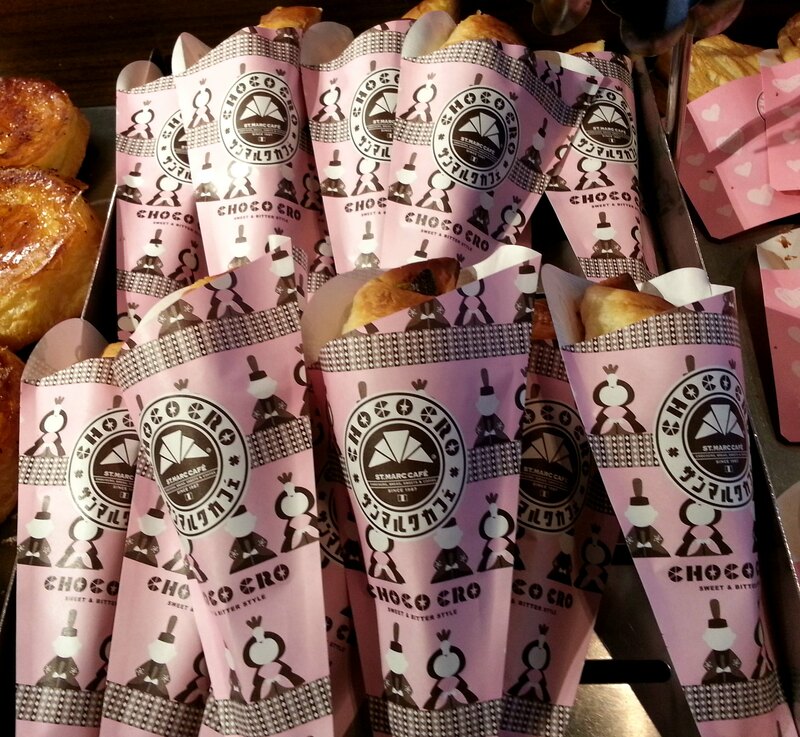 People go to St. Marc Café because of their signature and sought after Choco Cro (short for chocolate-filled croissant). But for me, I would return to St Marc (pronounced as San Maruku) because of their Little Fuji. Little Fuji which I guess the name was derived from Japan’s iconic Mt. 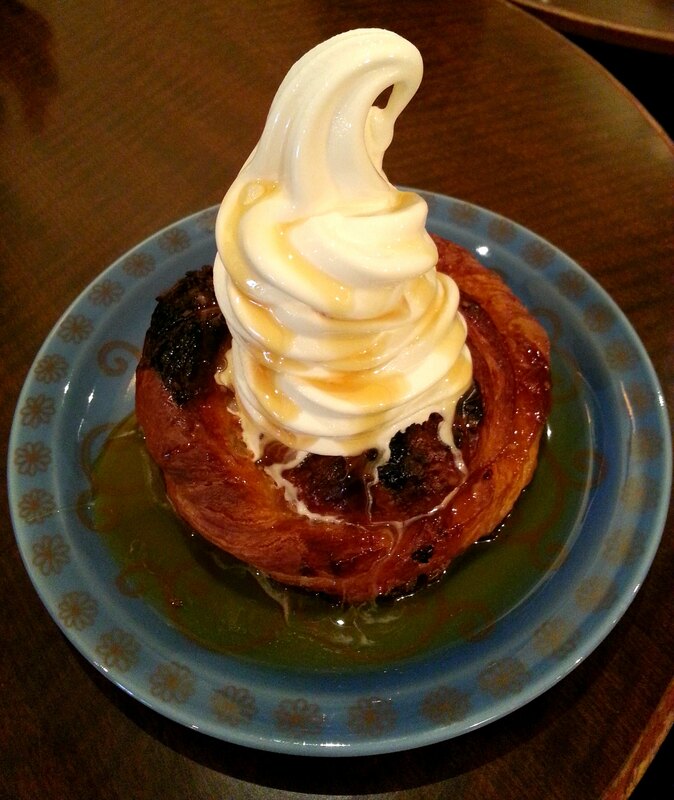 Fuji is composed of warm buttery flaky Danish pastry with soft vanilla ice cream drizzled with addictively light caramel sauce. As expected Japanese vanilla ice cream is so heavenly. But what is so amazing about this dessert was the savory taste of the Danish pastry. Japanese pastry chefs of St Marc Café would indeed give the Danish people a run for their money. We were so impressed we bought the wicked Danish roll for takeout. Sweets have the strange power to make people smile. This principle is totally accurate especially when you are eating a piece of Cigare butter cookie by Yoku Moku. This Japan-made cookie is the most delicious butter cookie I have ever tasted. It is so rich in butter yet so subtle it melts in your mouth. It’s better than excellent! This cookie is a bombdiggity! 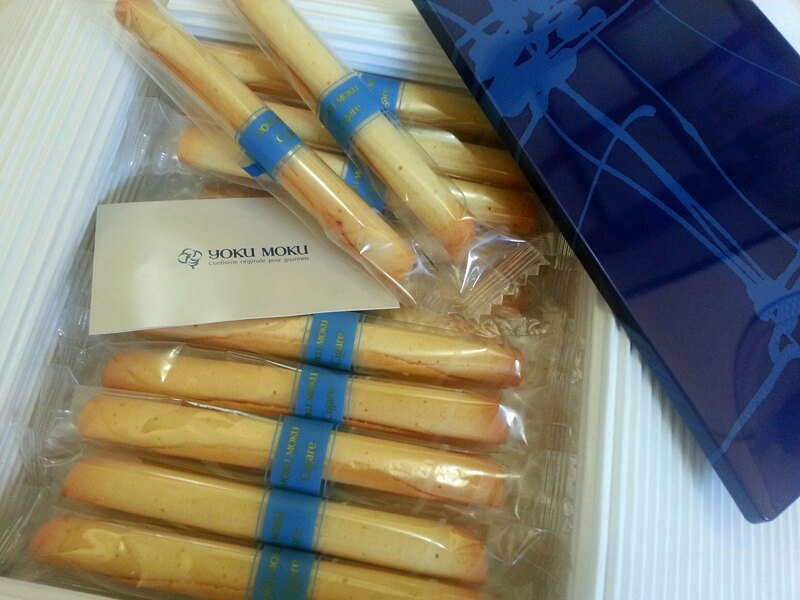 I would consider Yoku Moku Cigare to be a luxury kind of a cookie. To seal its freshness, each rolled cookie is individually wrapped and packed in a beautiful metal tin box. It is made from all-natural ingredients that is why its shelf life is shorter as compared to an ordinary cookie or confectionary. It is actually one of the most overpriced cookies I have purchased. The hardest part after eating this cookie is the struggle and resistance of refusing to take another one. The strong craving to eat another will ensue after the first stick. You would realize that it‘s definitely very difficult to eat just one Cigare. You will either get so sad or much worse go so insane if you would not buckle down to eat and enjoy another round. Ito ang stik-ow ng mga sosyal. Sarap sobra! 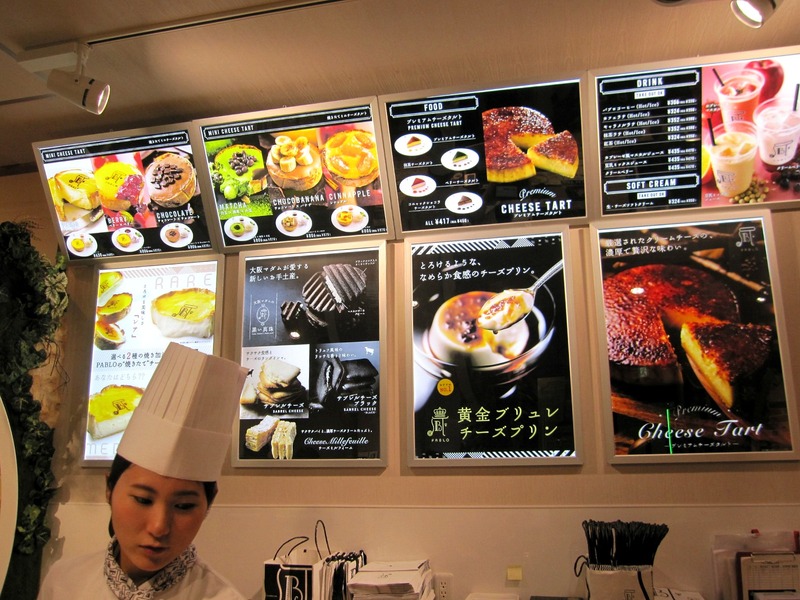 Osaka is known all over Japan as having the best gastronomic courses and culinary entities. 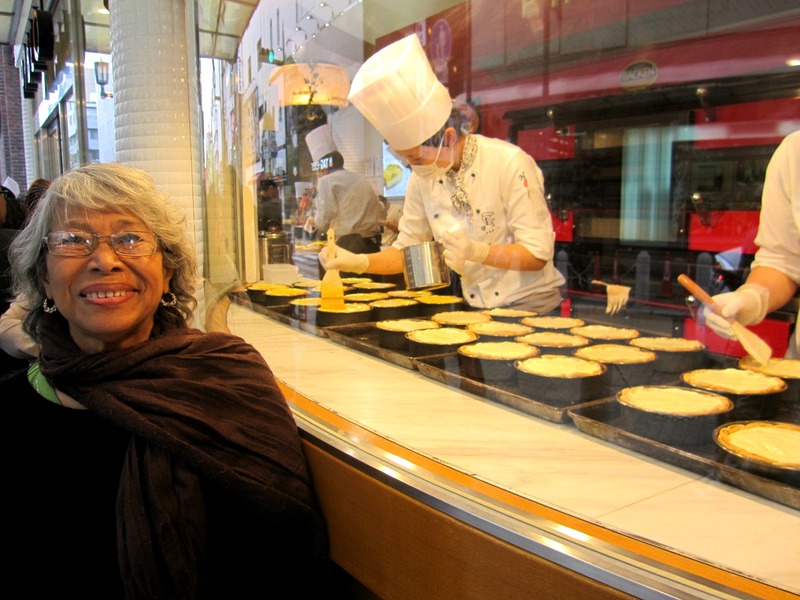 Thus, it is not farfetched that the best cheese tart in that part of the planet originated in Osaka. 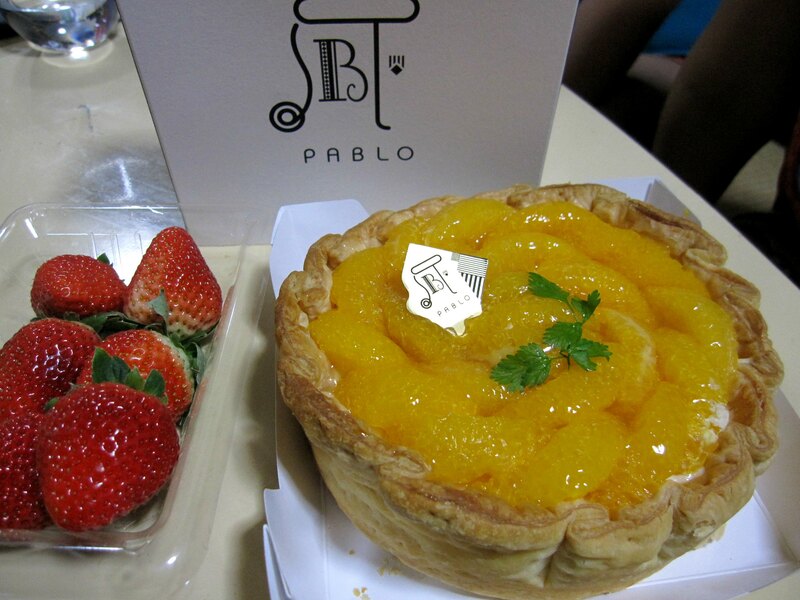 I am talking about the luscious cheese tart from Pablo. Falling on queue at Pablo’s take-away shop to purchase the famous cheese tart has been part of my last three visits in Japan. Served in large spherical portions good for sharing, my theory why this cheese tart has gone so admired and popular is because its flavor and texture is never overpowering to the taste. Unlike the usual cheese tarts when consumed in large amounts would result to nauseatingly cloying feeling, Pablo’s version is subtle, light and delicate to the palate. Pablo store has gone so swell, I was amazed to learn that they have progressed from a take-away store into a casual dine-in shop serving various drink concoctions, pastries, cakes and desserts. 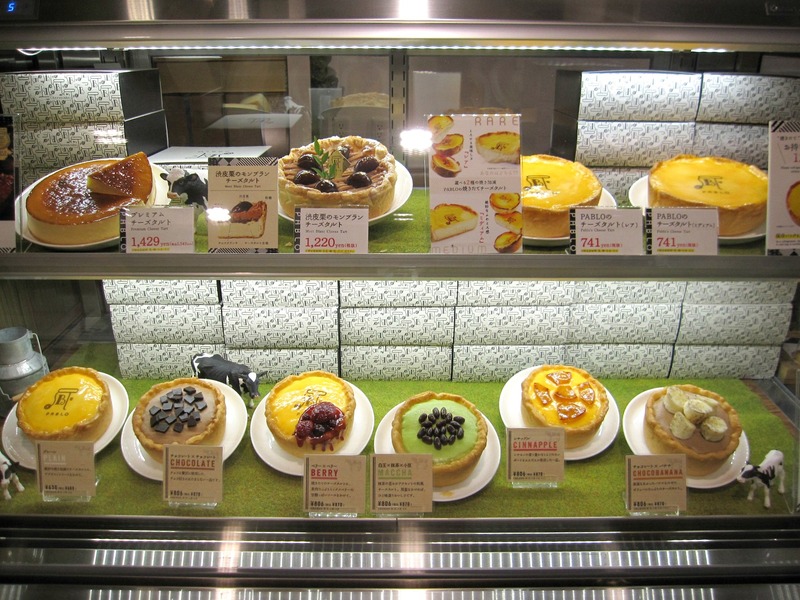 These pastry diner shops also became a hit, it has started to mushroom around Japan. During my recent October 2014 visit, I told my dear nephew and nieces (based in Osaka) that I and Nengkoy would not miss the opportunity to dine in one of the Pablo shops before going back to Manila. However, our first venture at Pablo’s Shishaibashi branch was a failure because there were no seats available and we have to fall on a long line of patrons waiting for their turn to be given those precious table. Me and my mother settled on buying the premium version of the cheese tart and have it devoured at my nephew and nieces’ house. Our second try was a success! After accomplishing a long walking tour of the majestic Himeji Castle in Hyogo Prefecture, we agreed to have a snack before going back to Osaka. 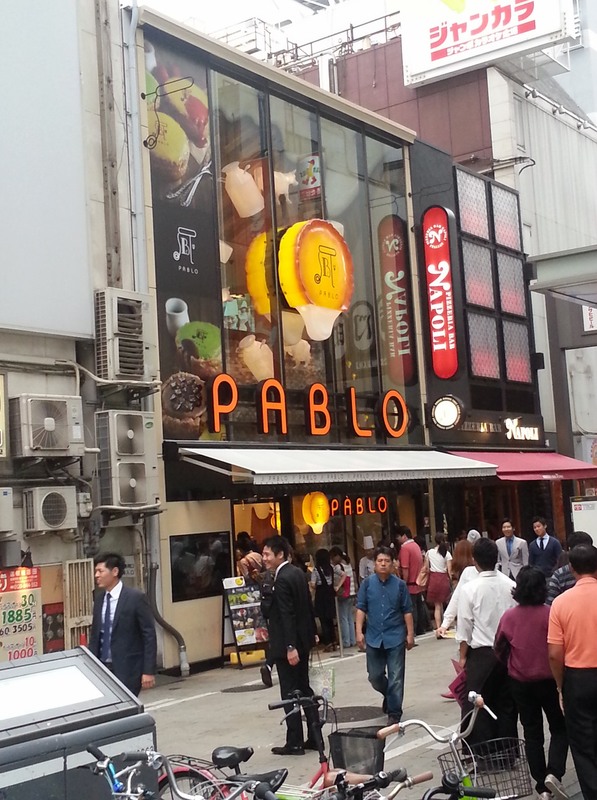 We were glad to find out that a Pablo dine-in branch has just opened in Himeji. Pablo in Himeji was a true winner. 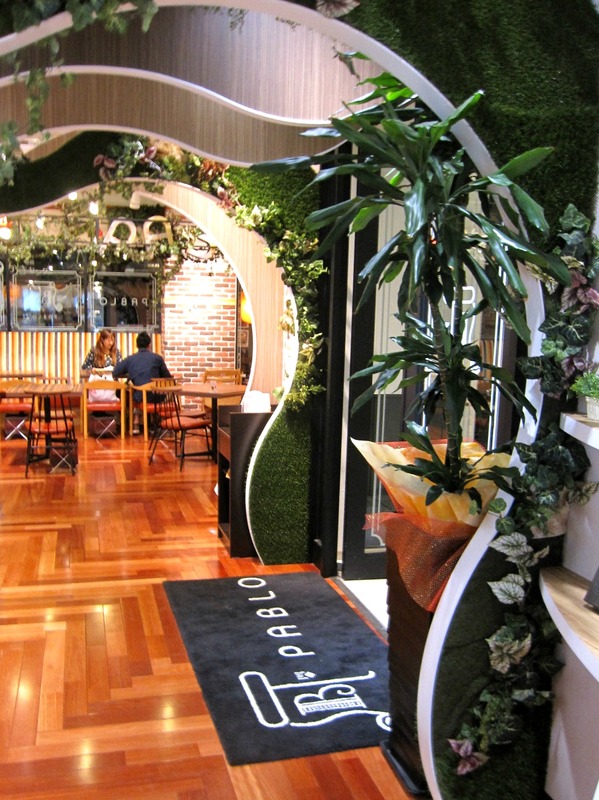 Aside from the good food and drinks we had, I specifically loved the restaurant’s beautiful interiors! 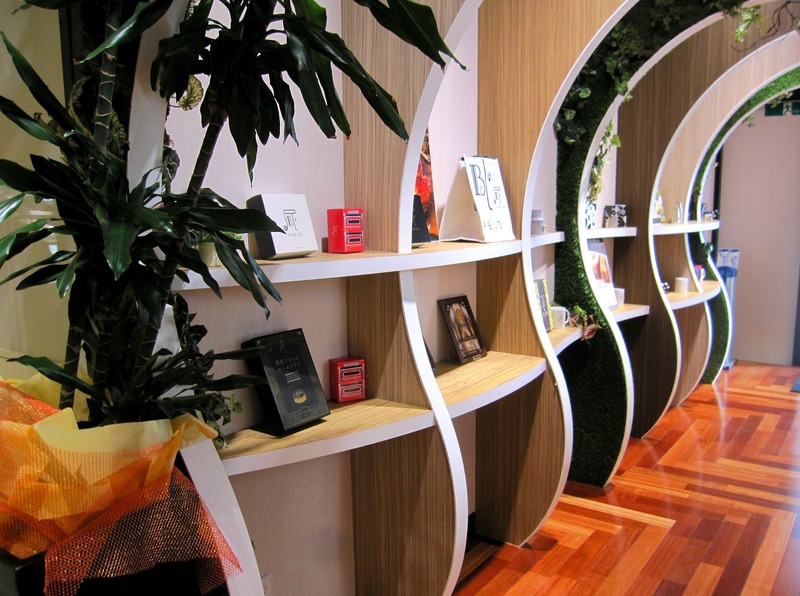 The aesthetic elements of the shop were remarkably trendy, cool and stylish! 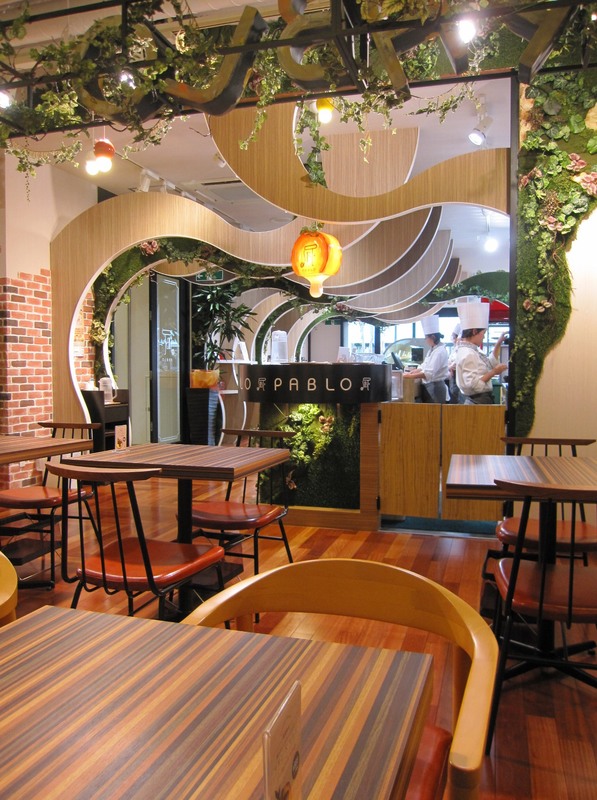 With the light enchanting flavors of their appetizing dishes combined with modish designs of the interiors, it would not be a surprise if Pablo would cross ocean borders and establish its shops at other places around the world.